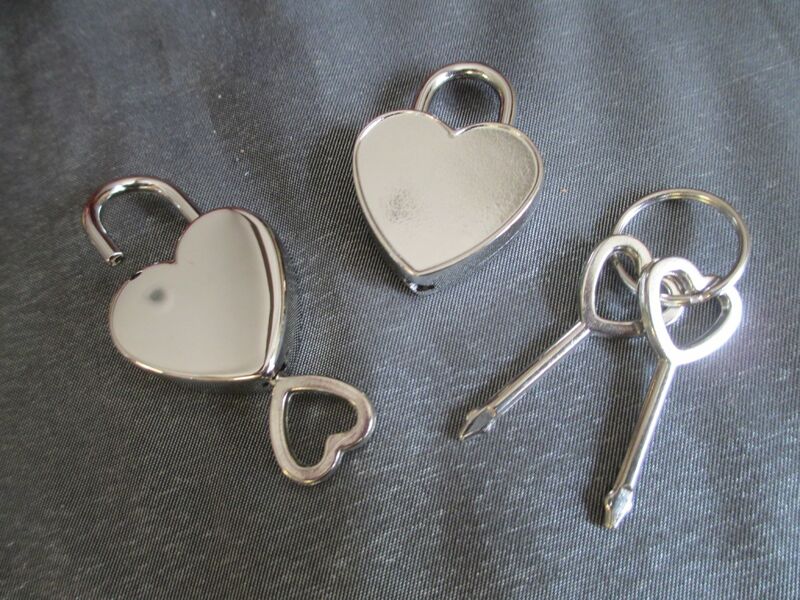 This listing is for a Pair of Heart Shaped Padlocks and set of keys (Please see our other listings for padlocks or for multiple packs or other designs). 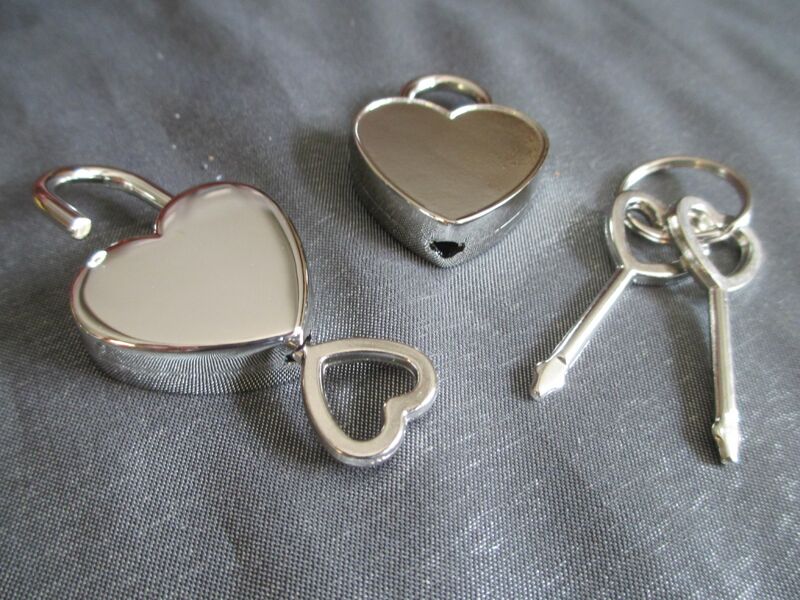 Locks and keys are Nickel plated. 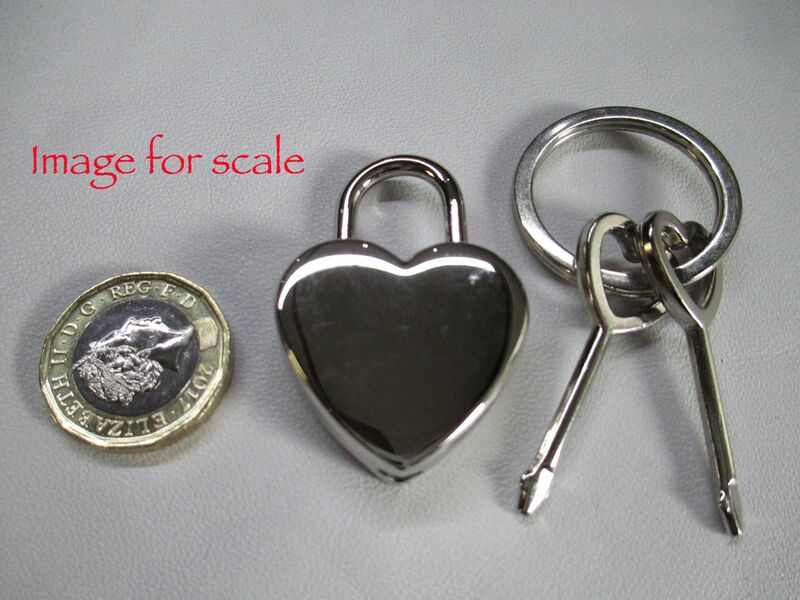 These are a very good quality lock, and the mechanism is very good also. 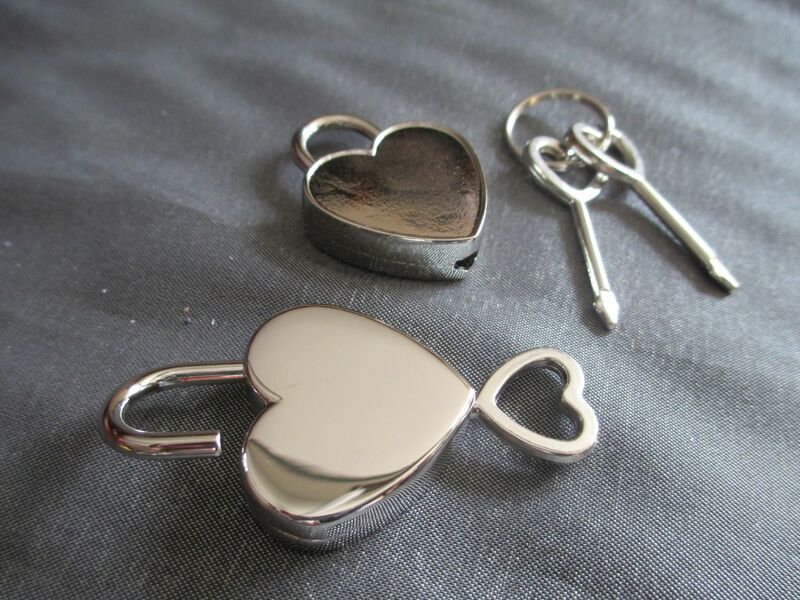 Great for use with our locking collars, cuffs, or head harness.